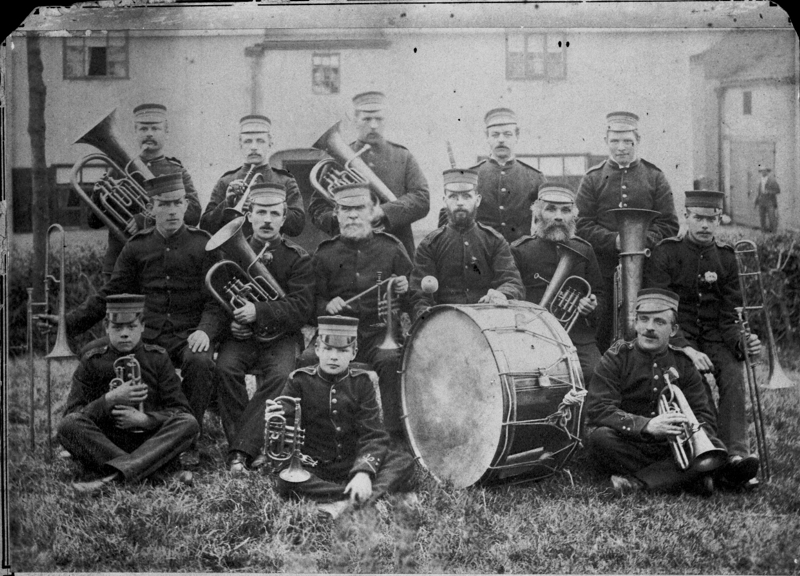 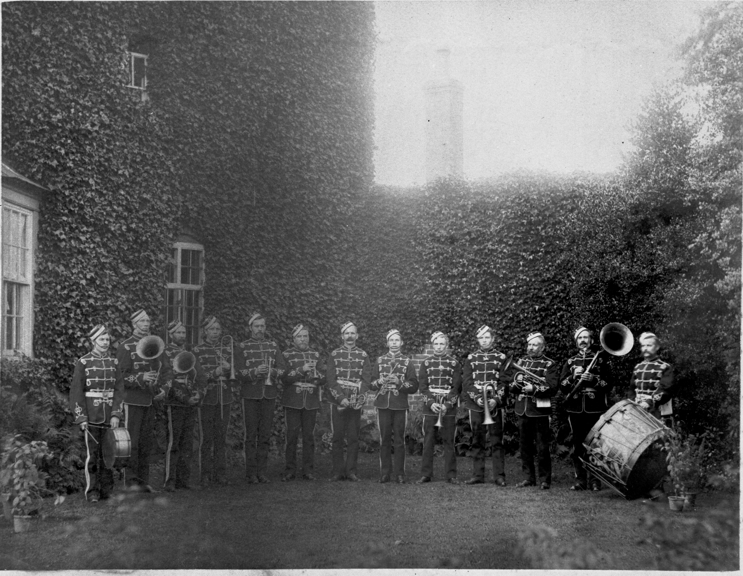 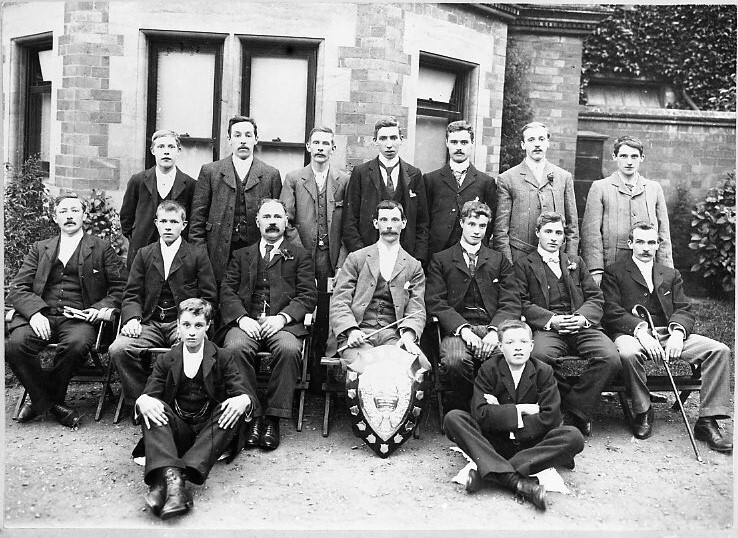 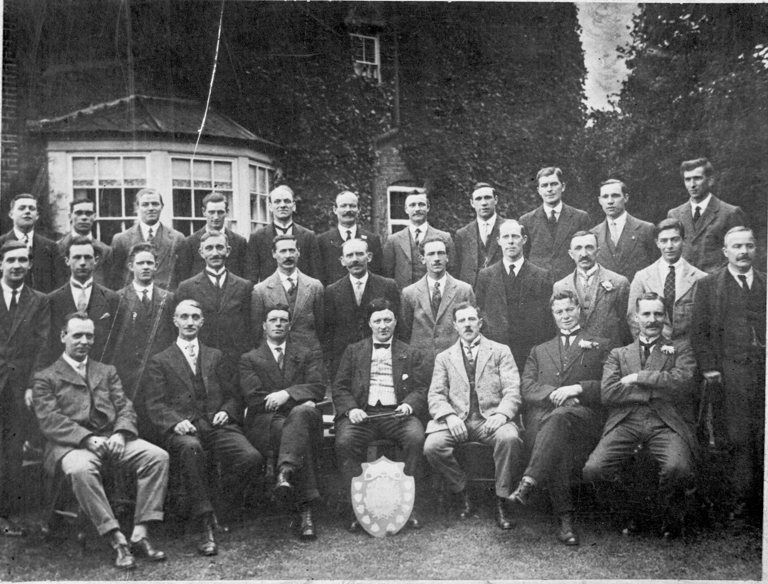 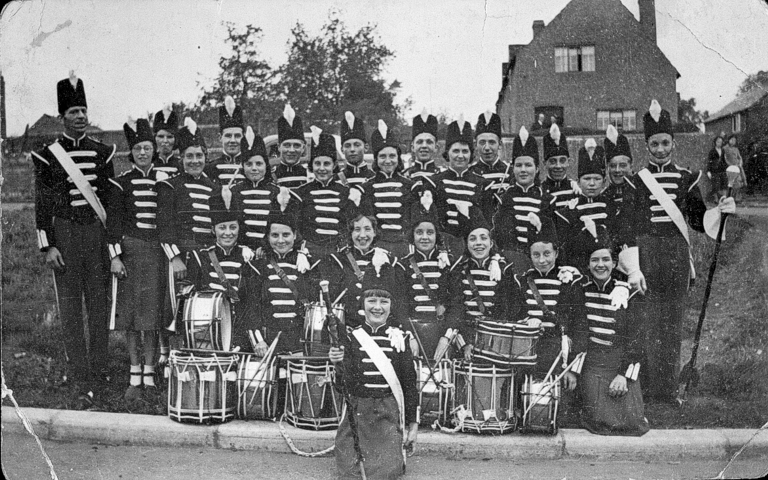 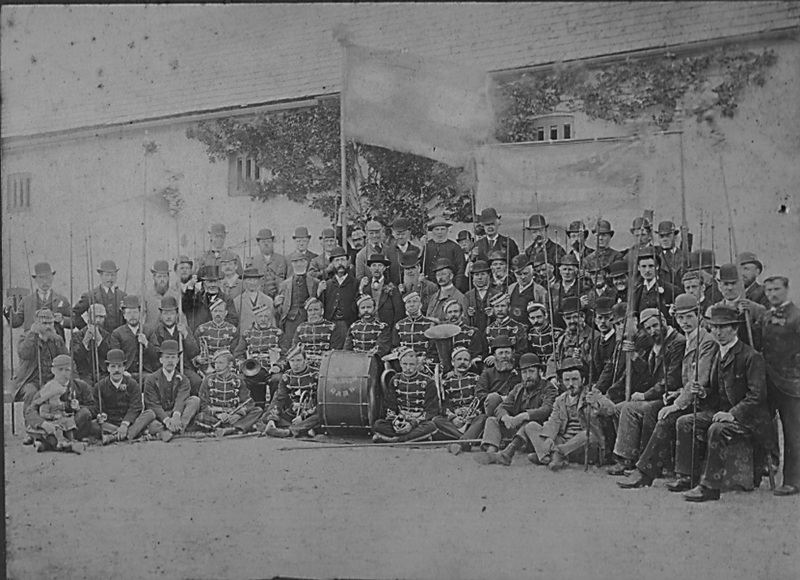 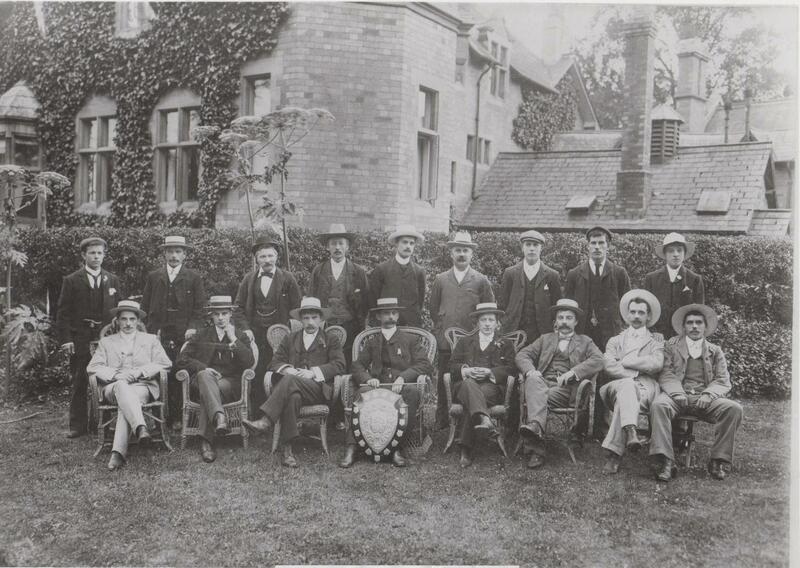 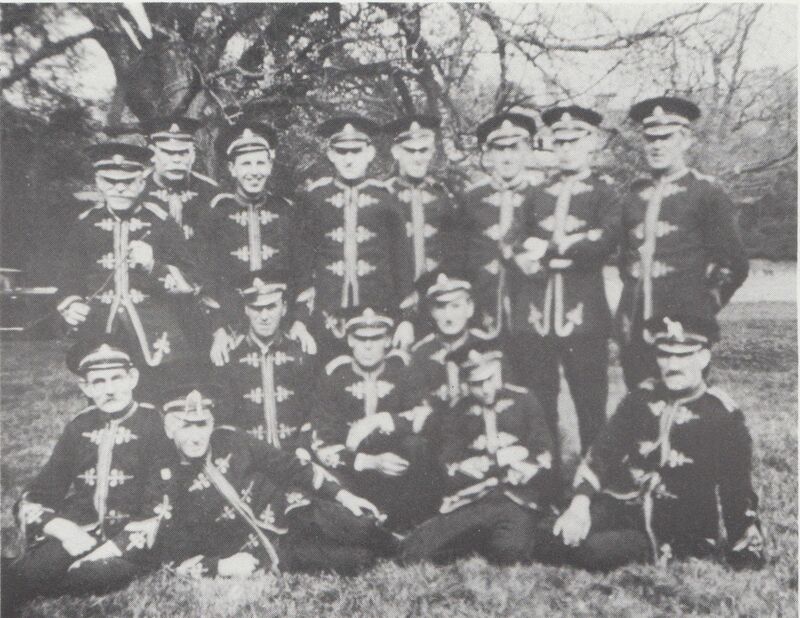 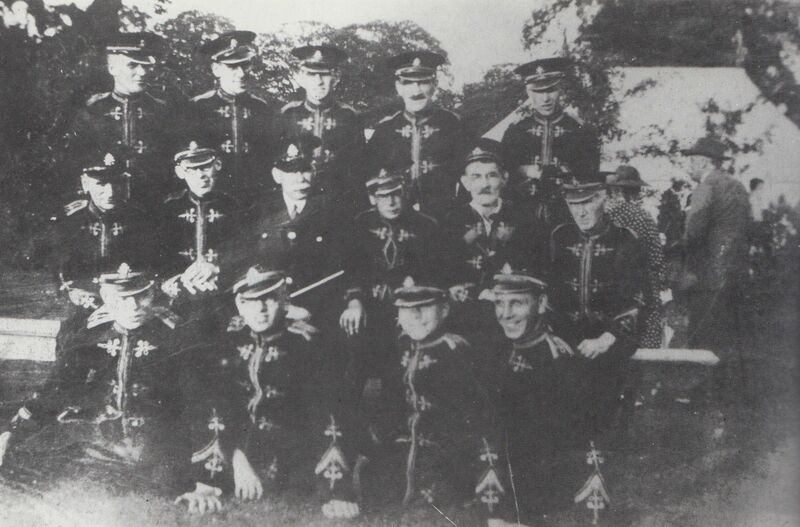 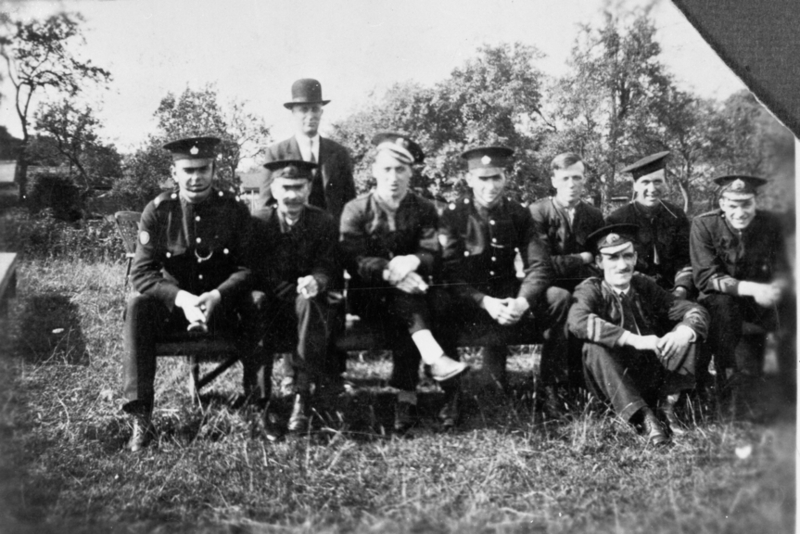 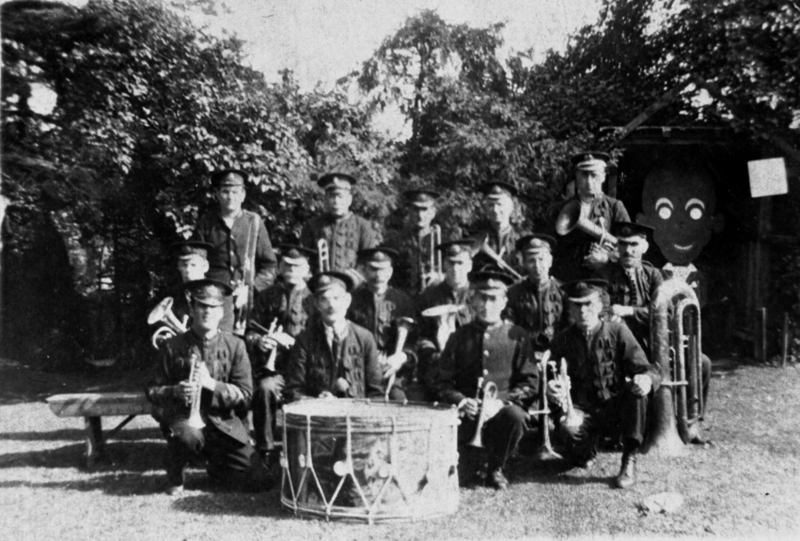 Hathern Band 1886.One of the earliest photographs of the band, taken east side of The Elms. 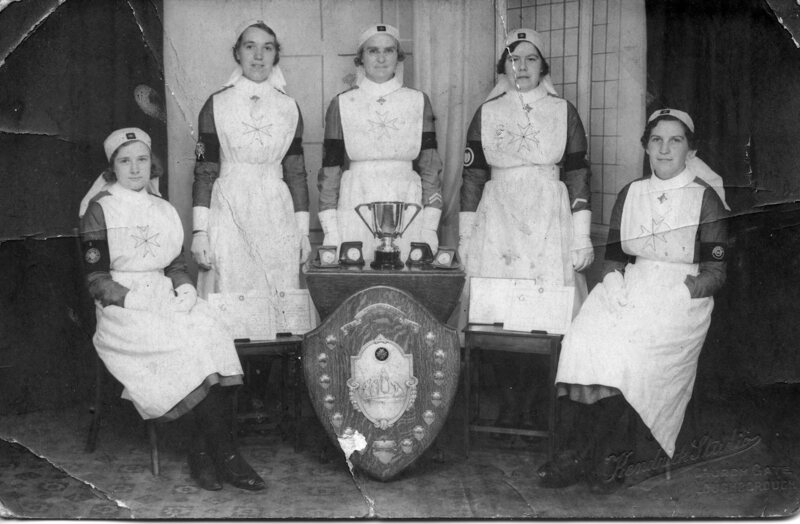 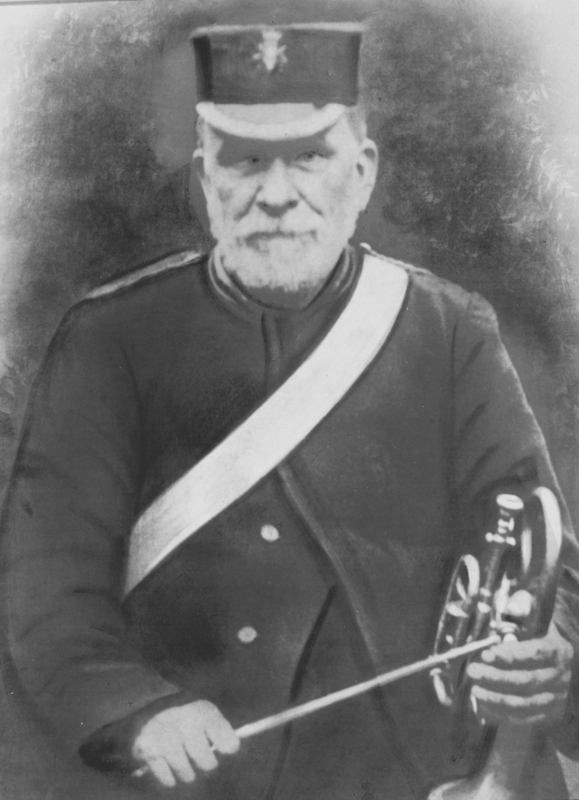 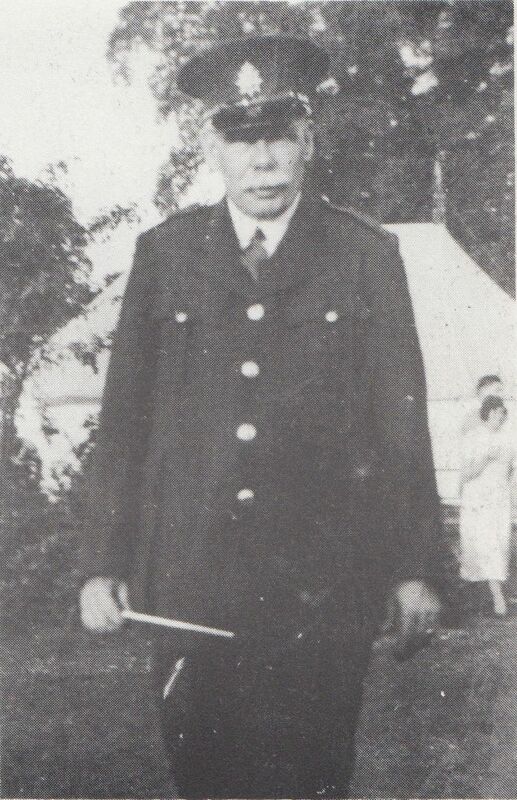 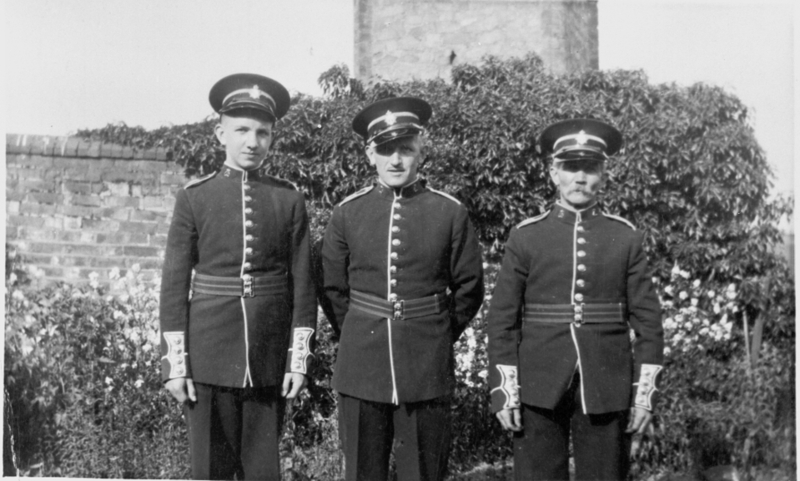 The uniform was bought in 1879 by contributers who were thanked by Bandmaster William Widdowson in a newspaper article. 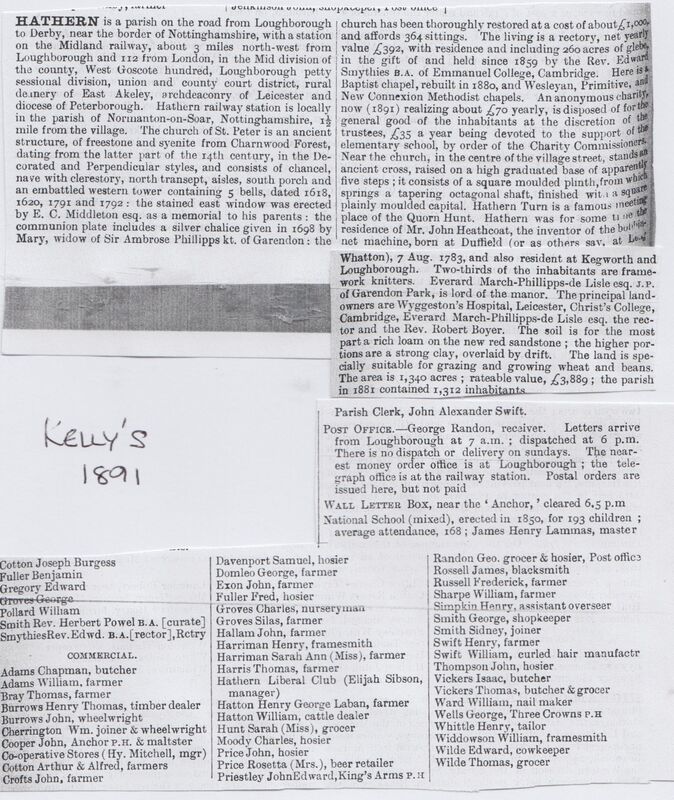 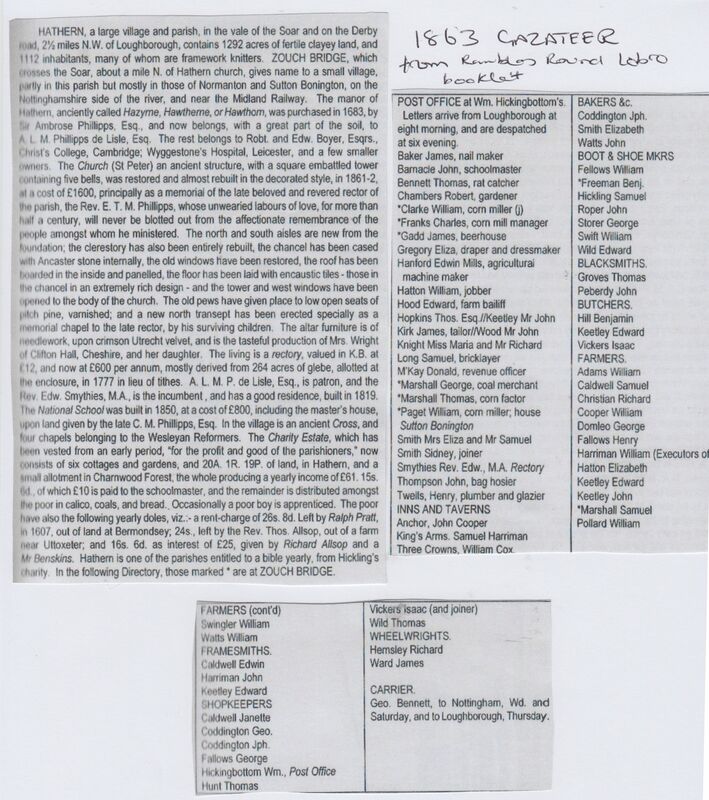 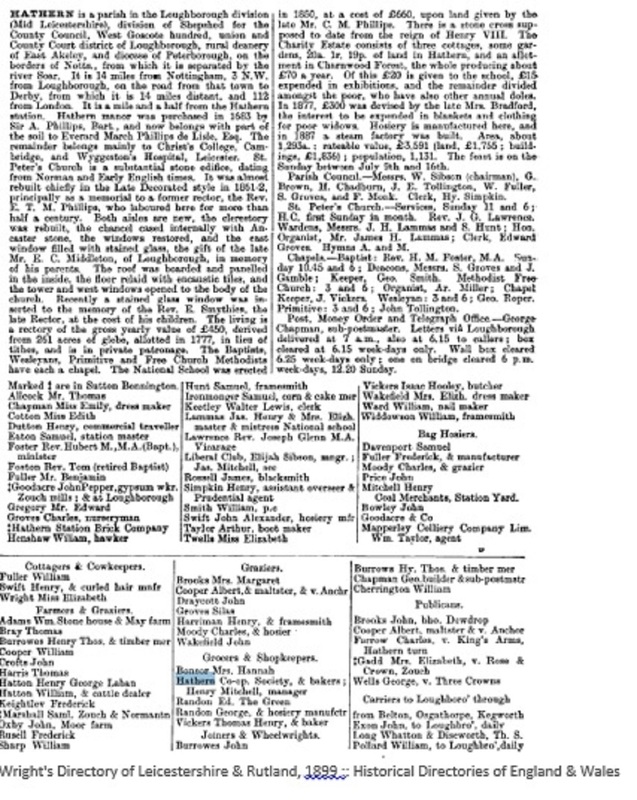 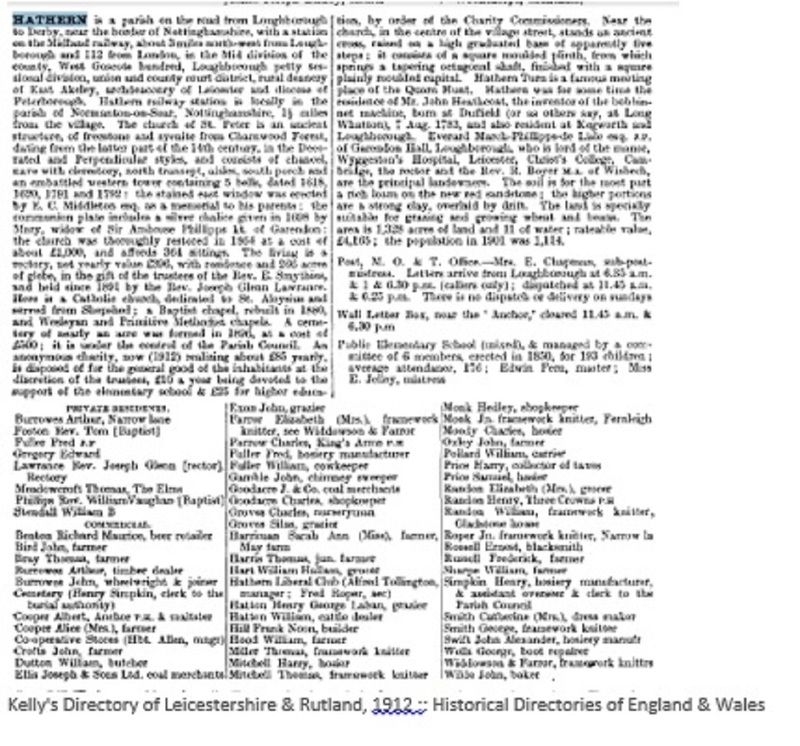 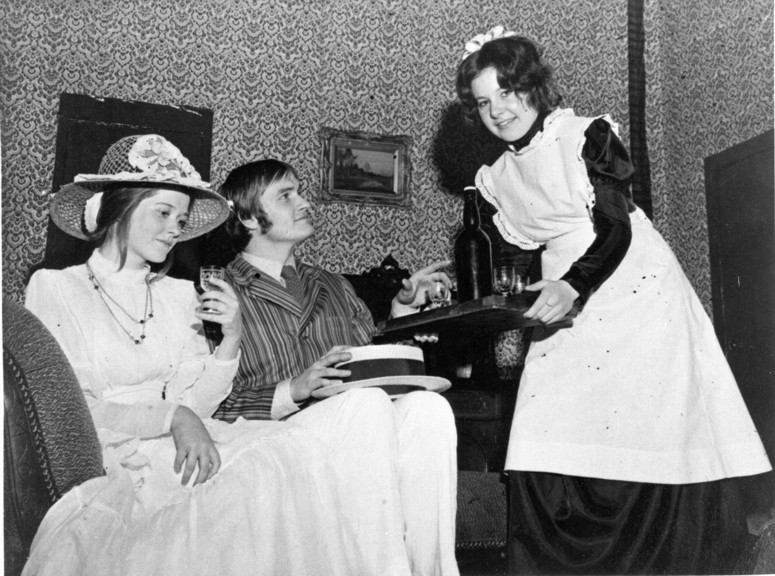 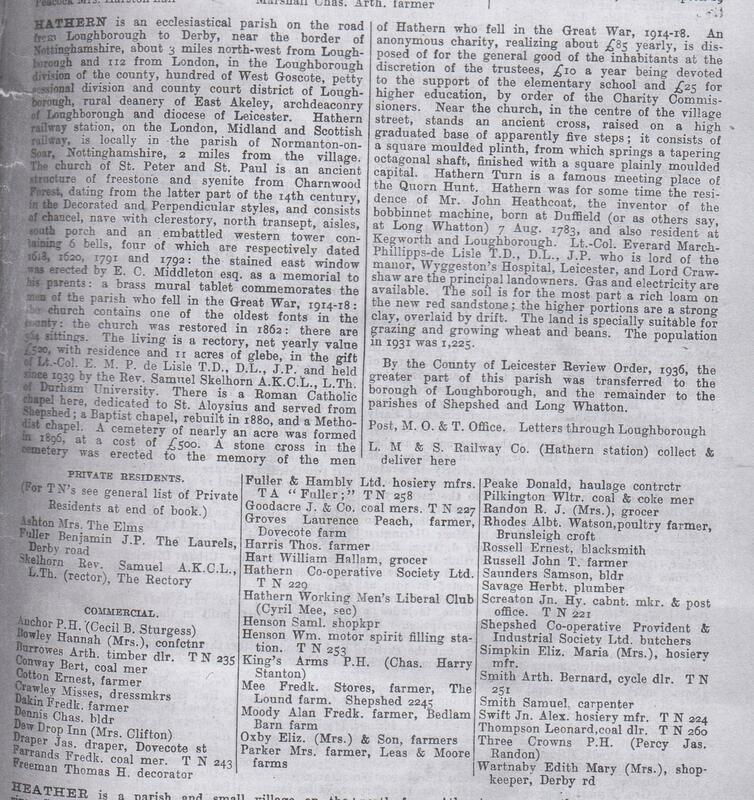 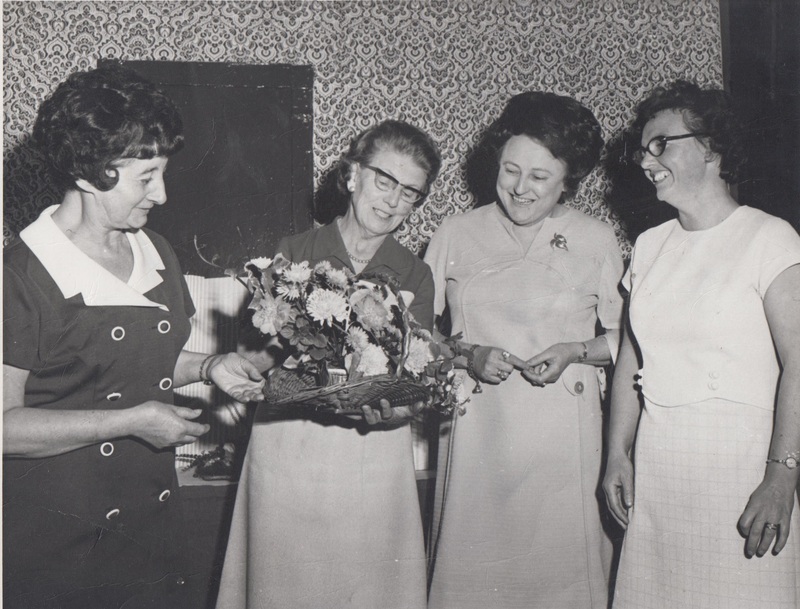 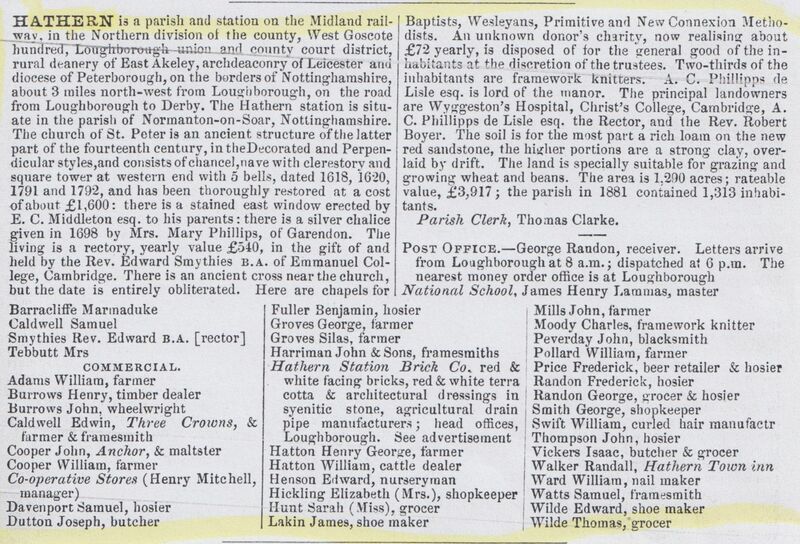 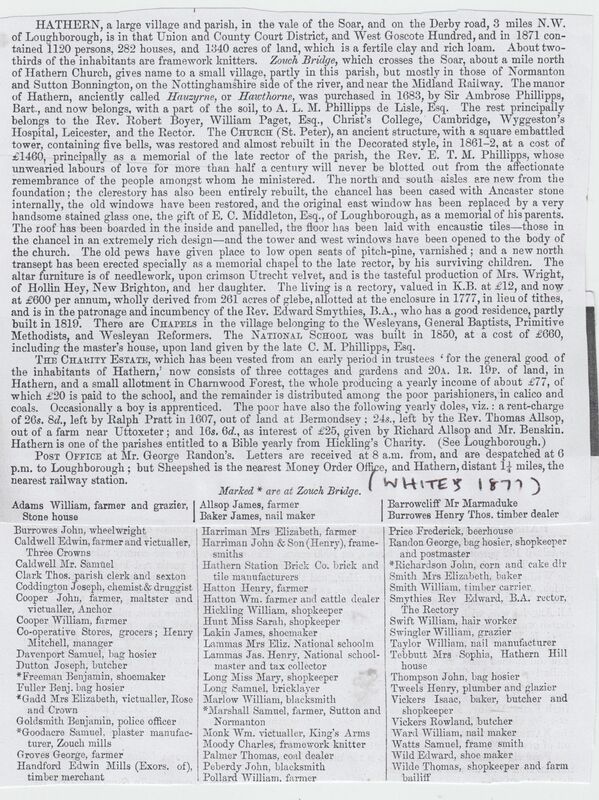 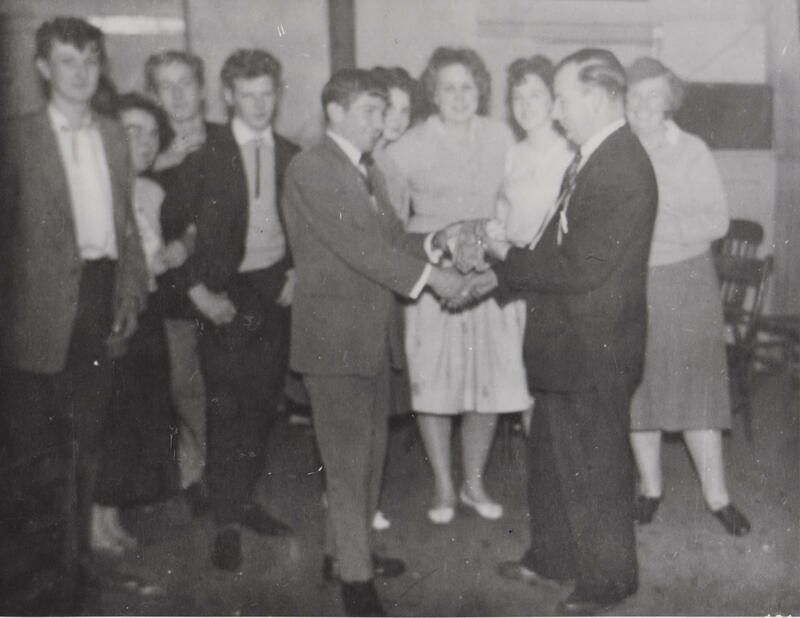 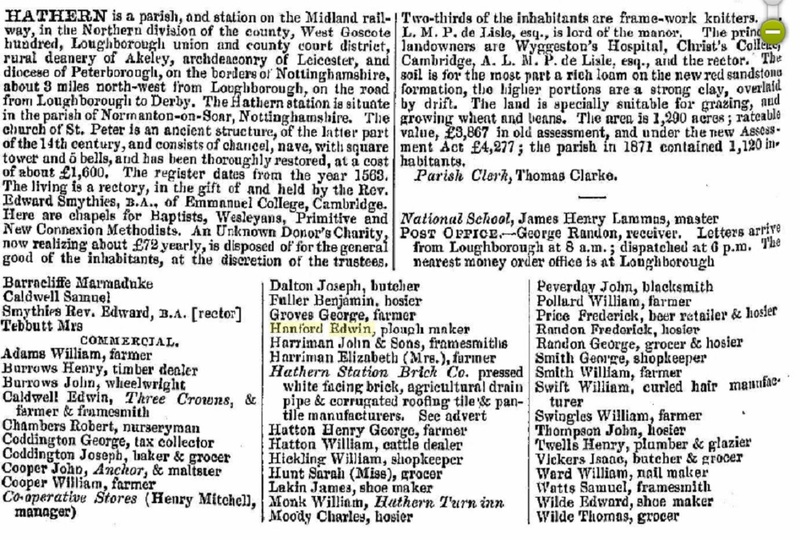 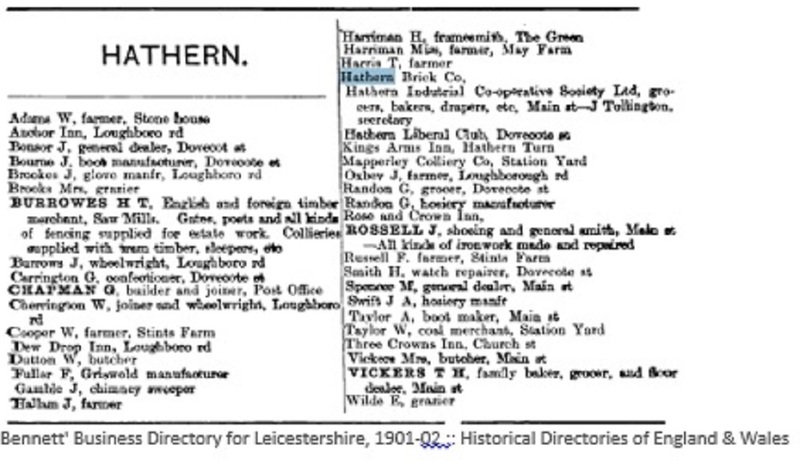 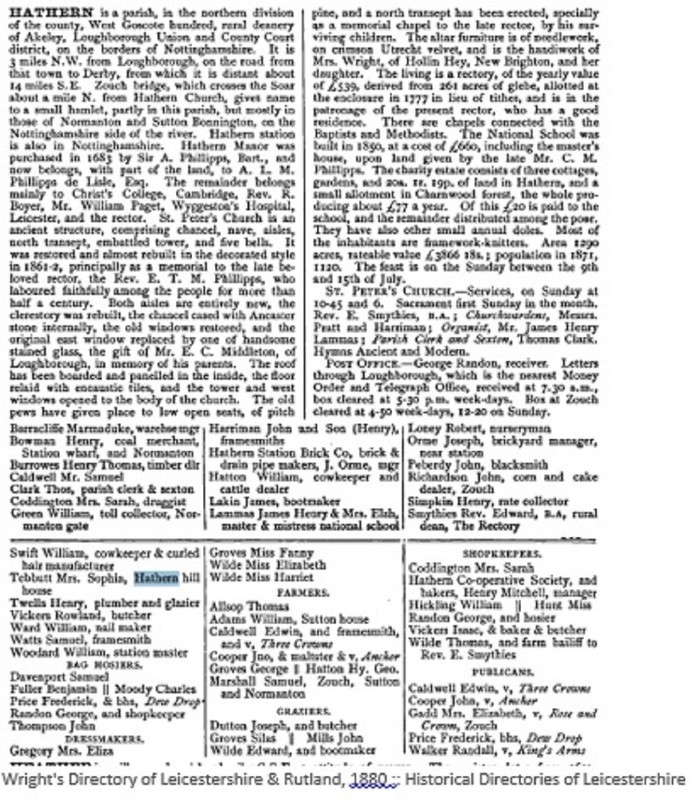 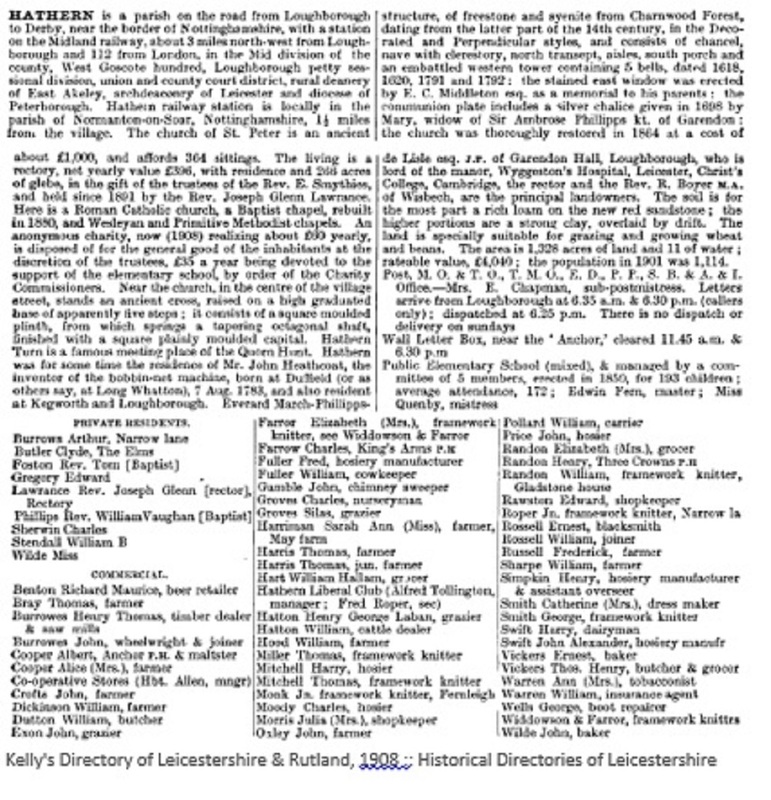 From Old Hathern in Pictures page 66. 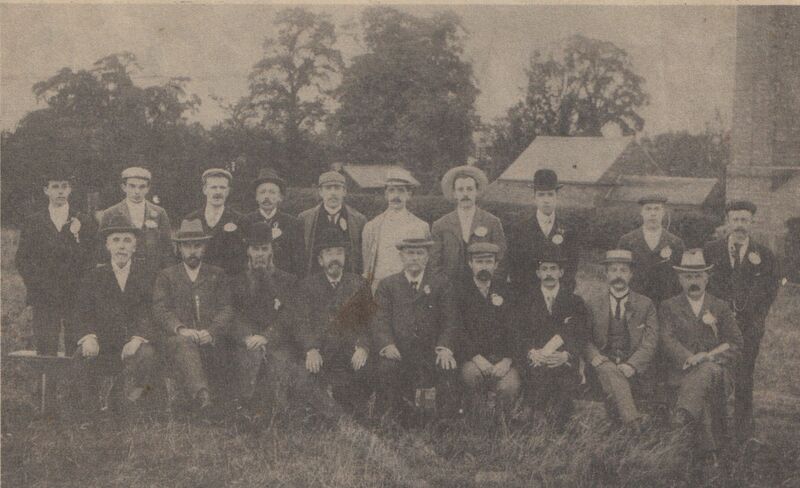 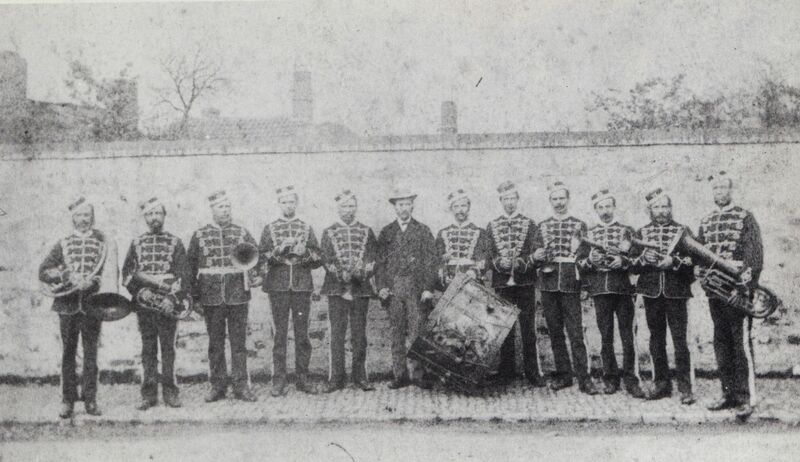 Hathern Band opposite Stone House 1896. 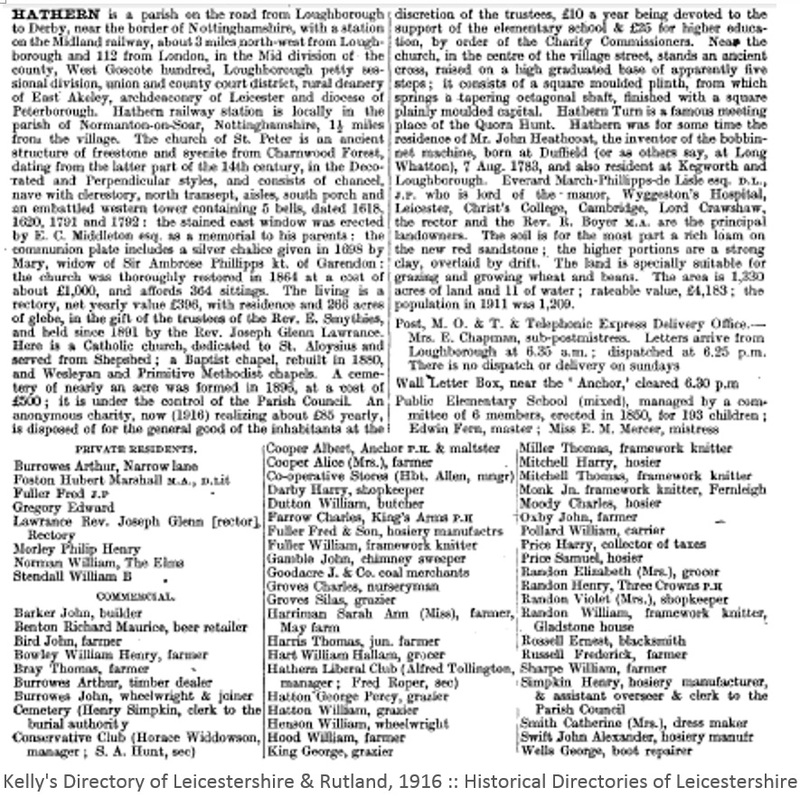 Old Hathern in Pictures page 67. 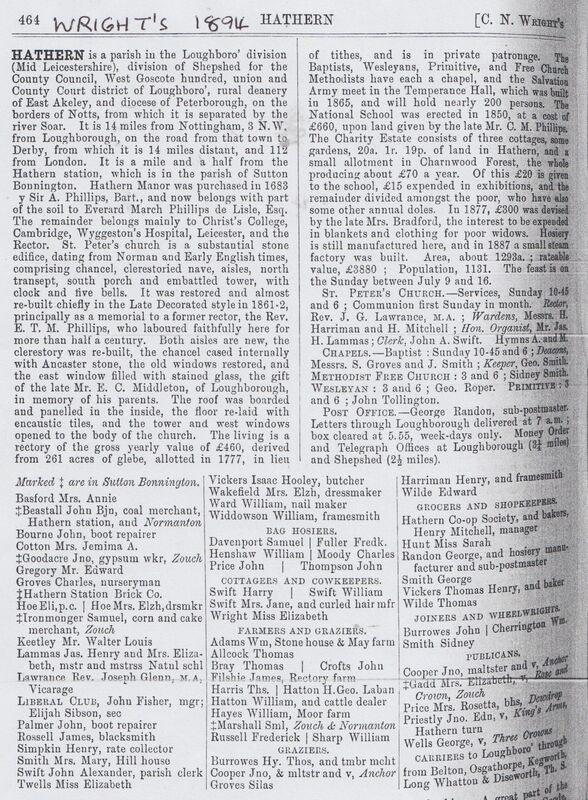 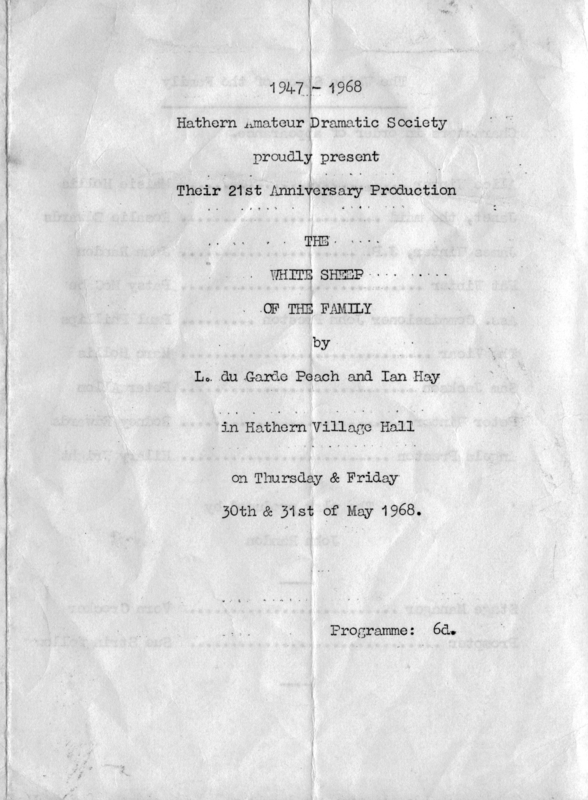 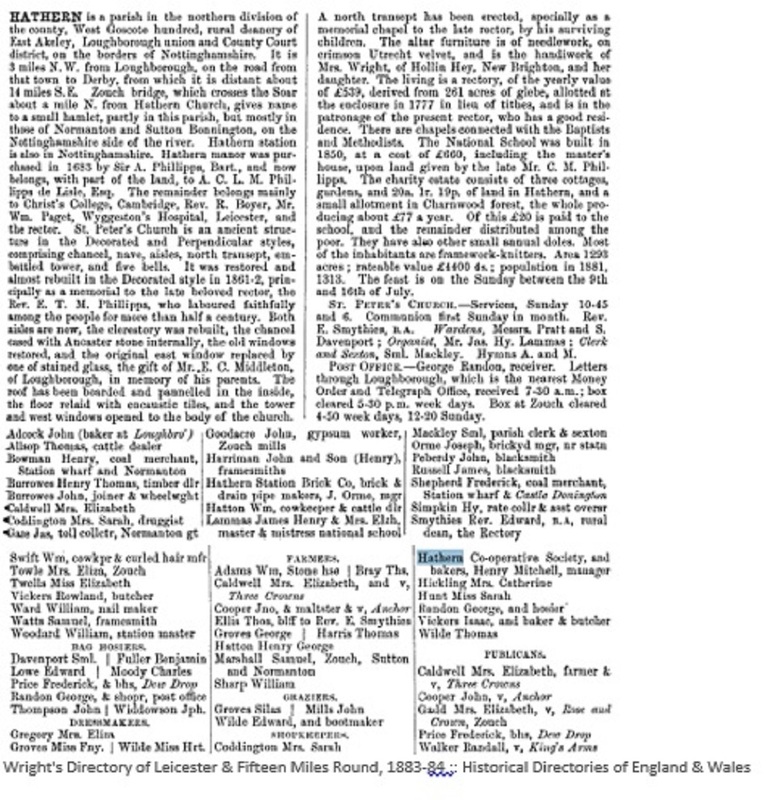 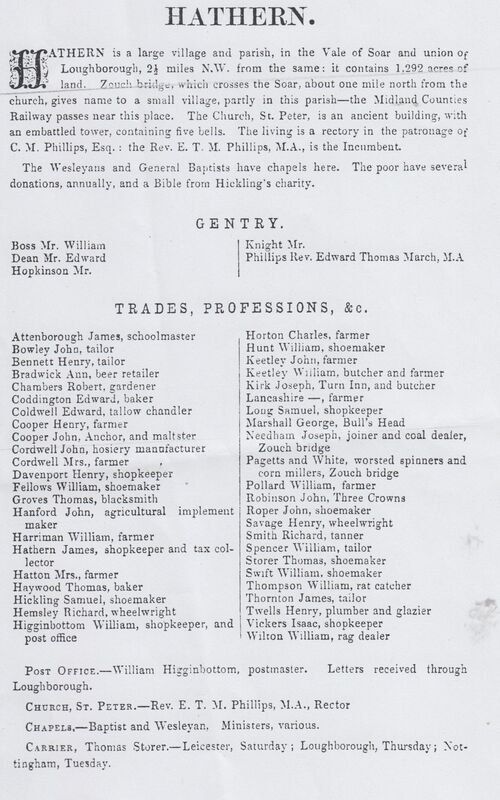 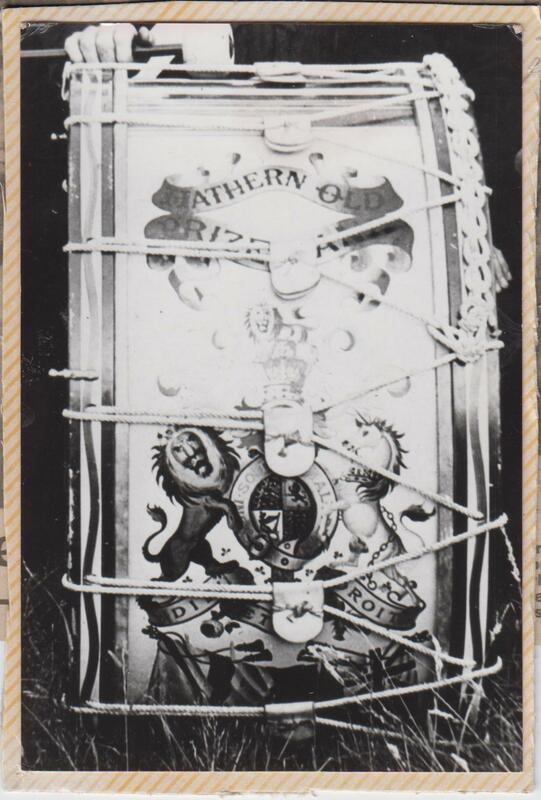 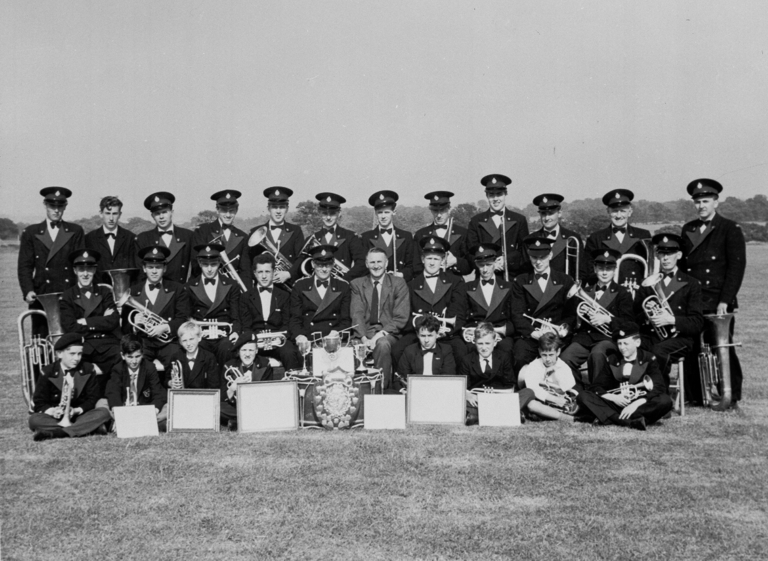 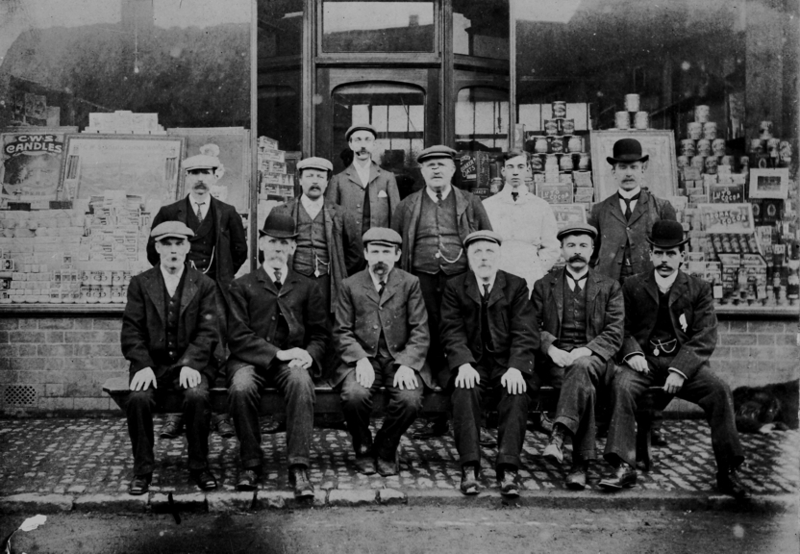 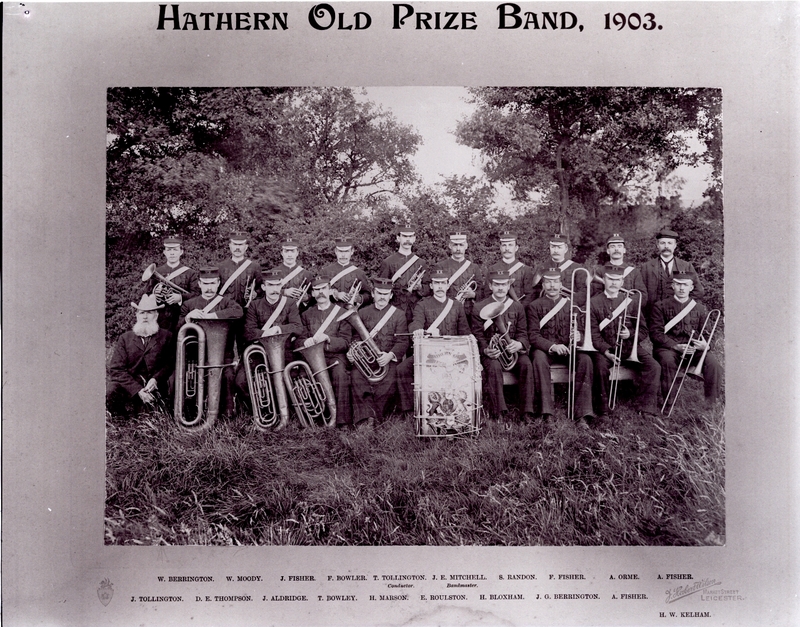 Hathern's new Prize band, created in 1890 by Tom Miller snr. 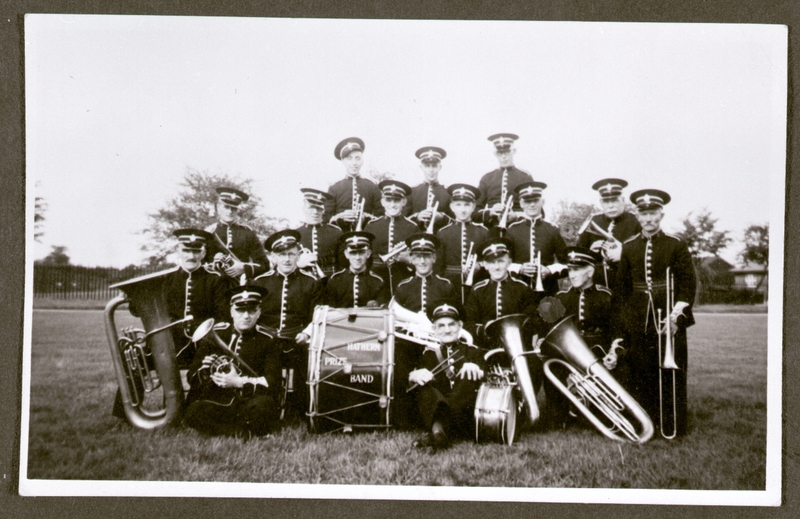 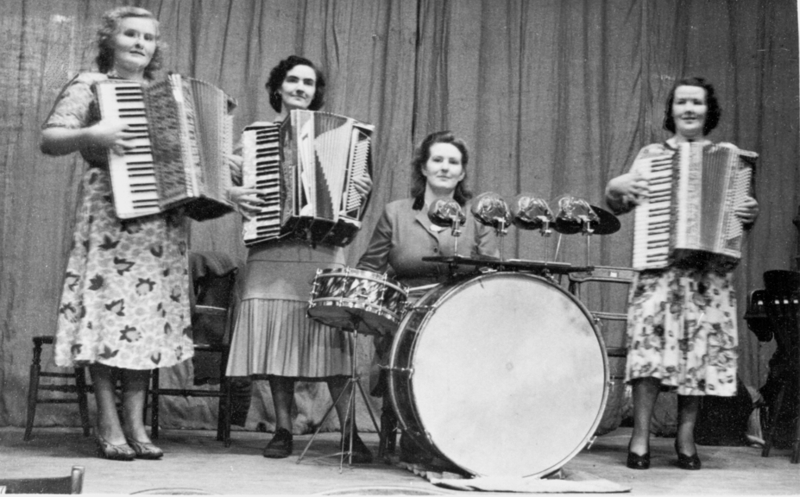 previously a member of Hathern's original band. 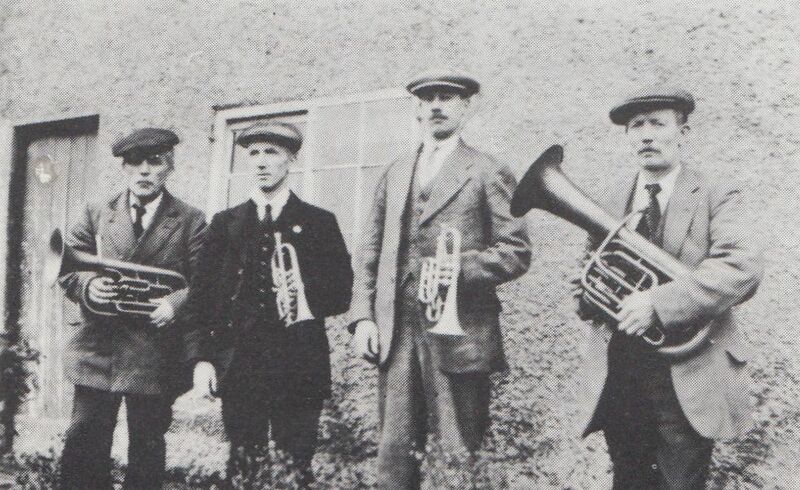 Tom recruited his 5 sons into the new band. 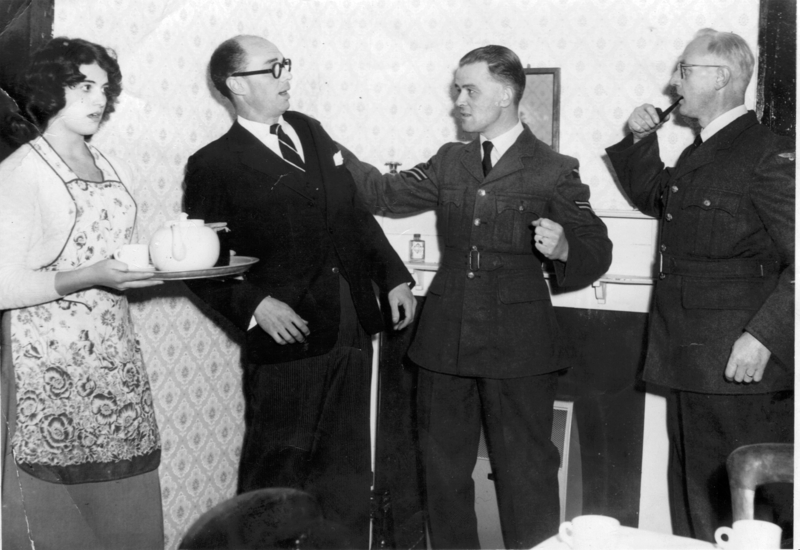 Les,Tom and Herbert Widdowson Kelham c.1939. 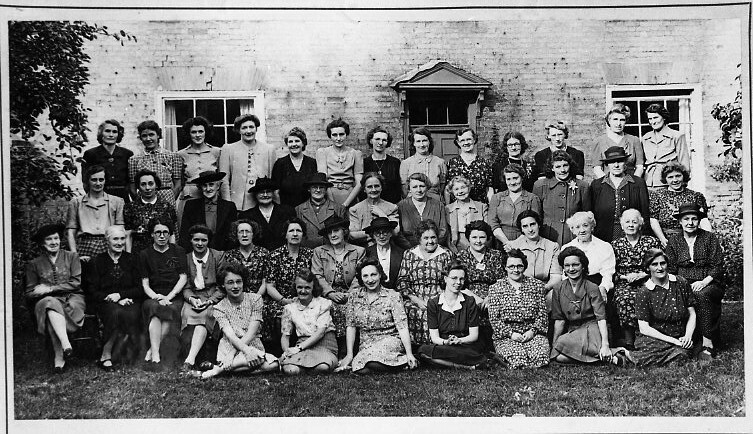 Probably in In Granny Kelham's garden (bottom of Green). 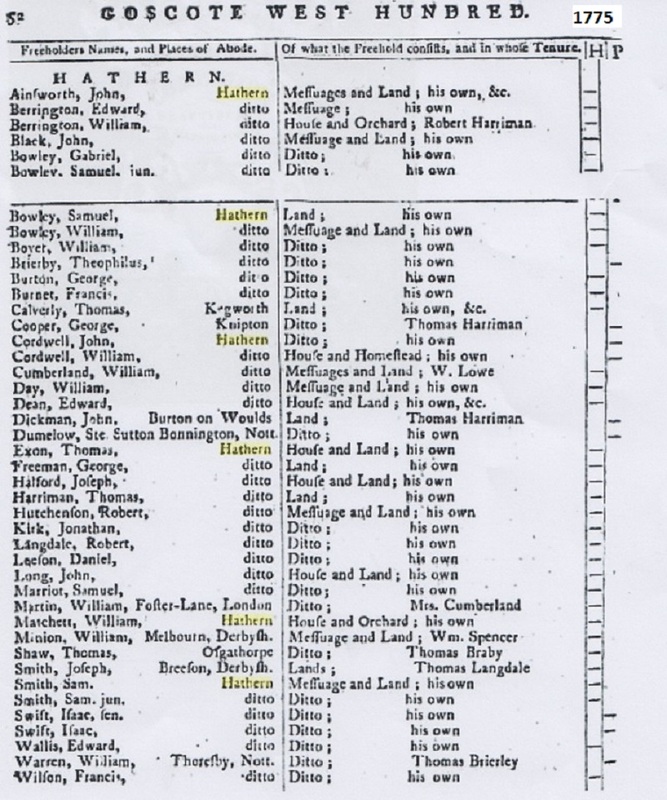 Herbert was Tom's dad. 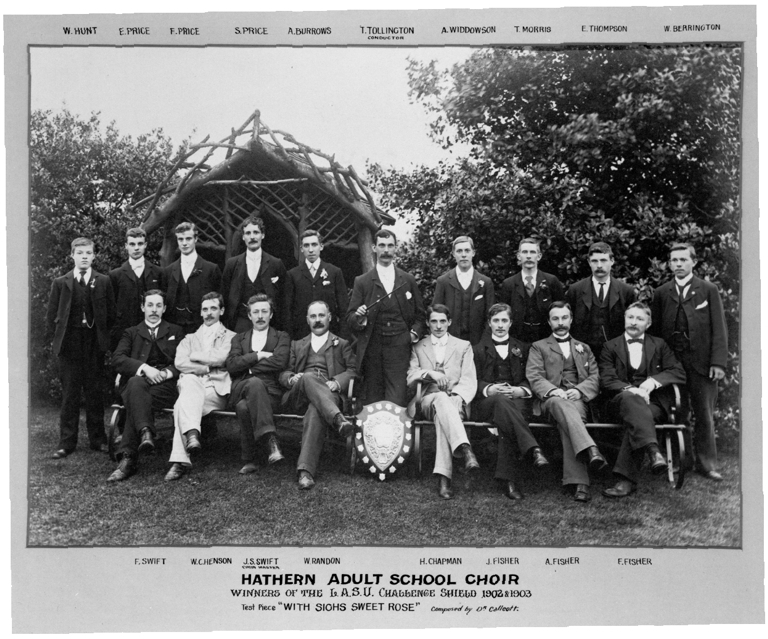 Adult School Choir 1902 with conductor Tom Tollington and Bandmaster J Alex Swift. 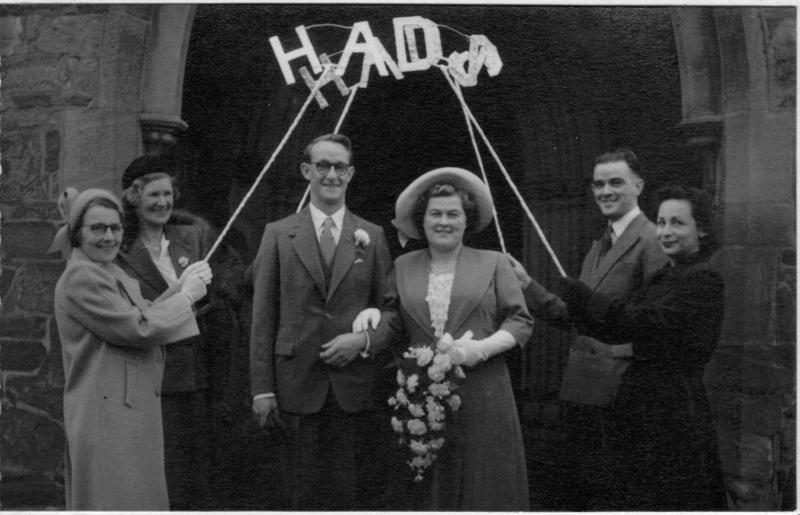 At Humberstone Hall. 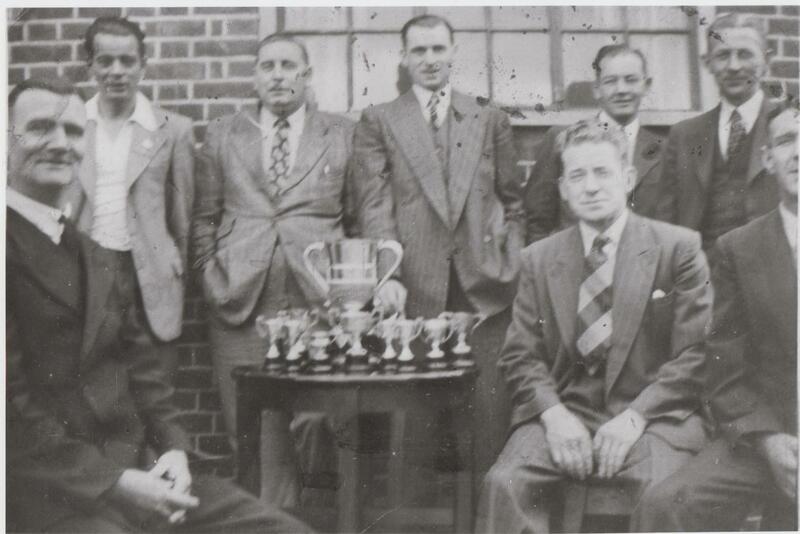 Men with trophy. 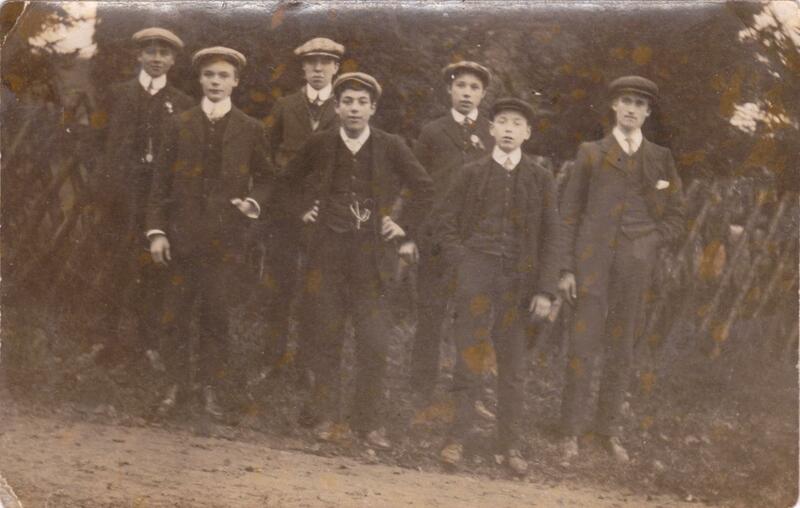 In front of The Elms.Male voice choir maybe ? 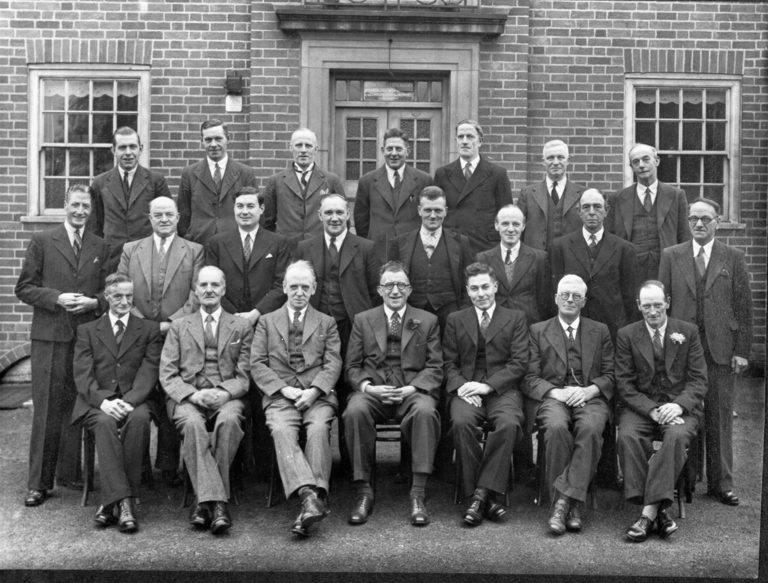 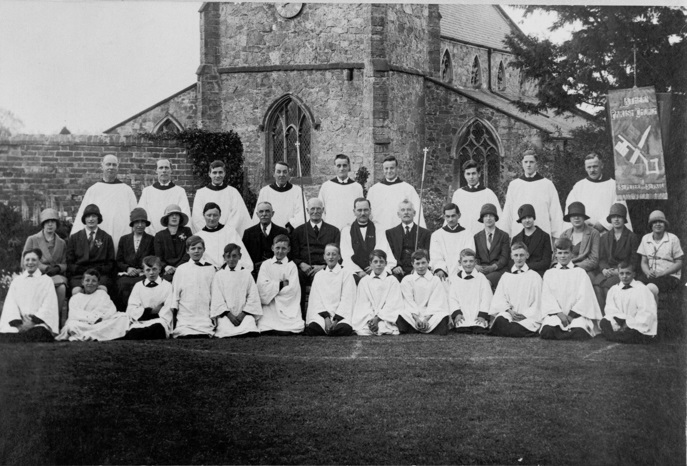 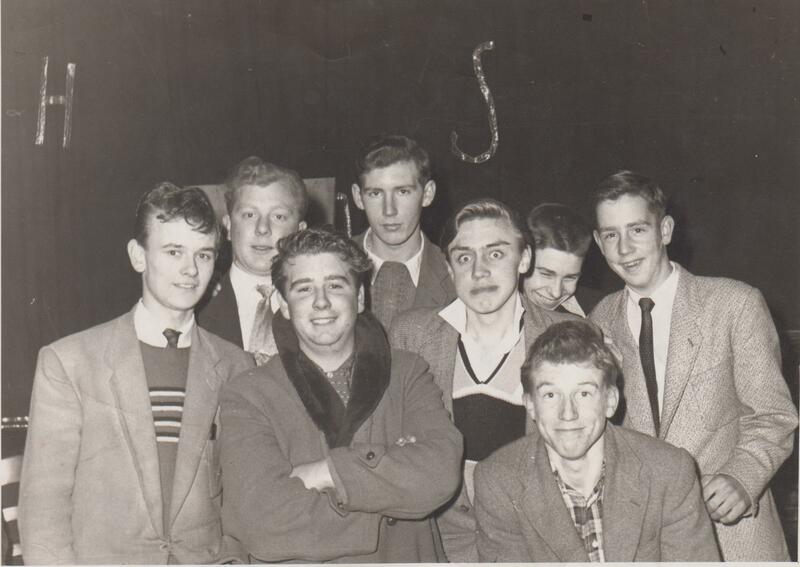 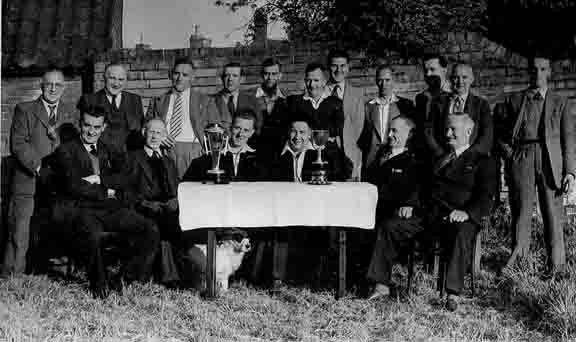 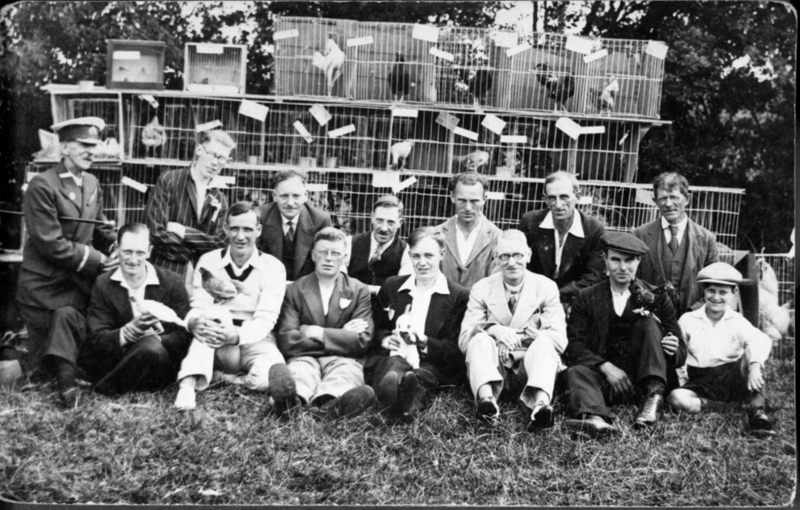 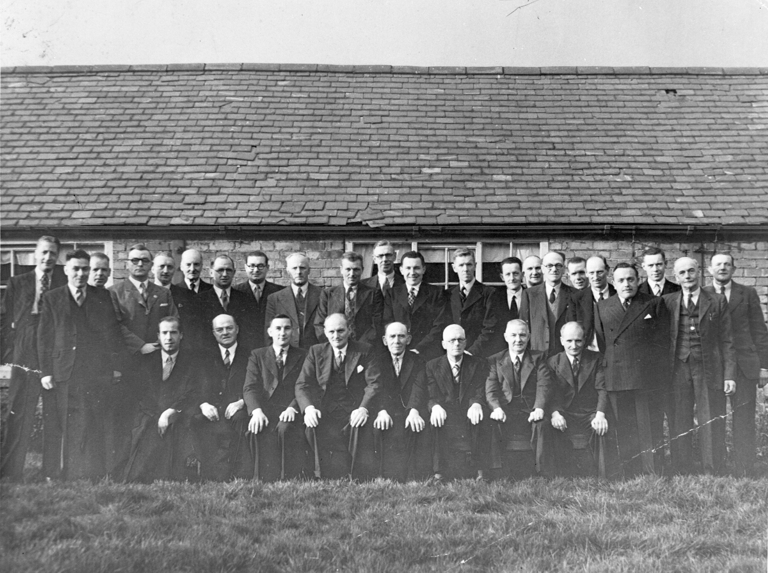 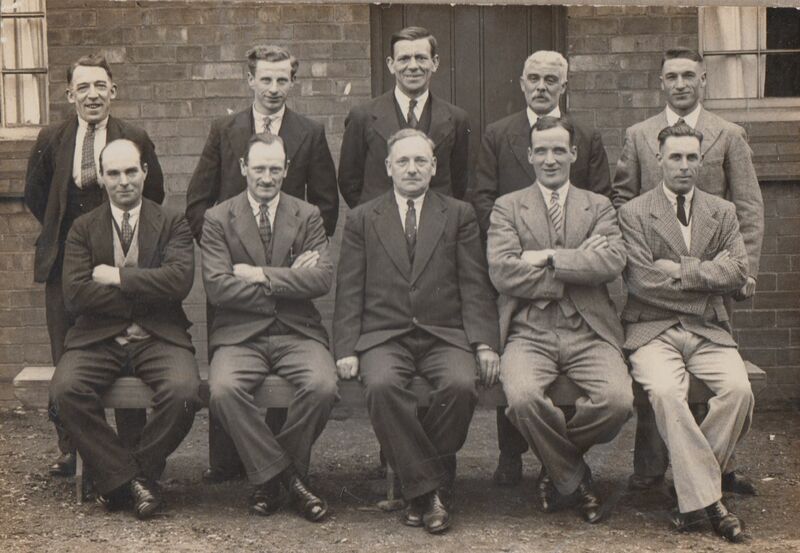 Back : Arthur Widdowson,Fred Swift,Tom Morris,Arthur Burrowes,Walter price,William Henson,Harry Chapman Front : J Alex Swift(choir master),W.Berrington,Walter Randon,Tom Tollington(conductor),Fred Price,Jim Fisher,A.King. 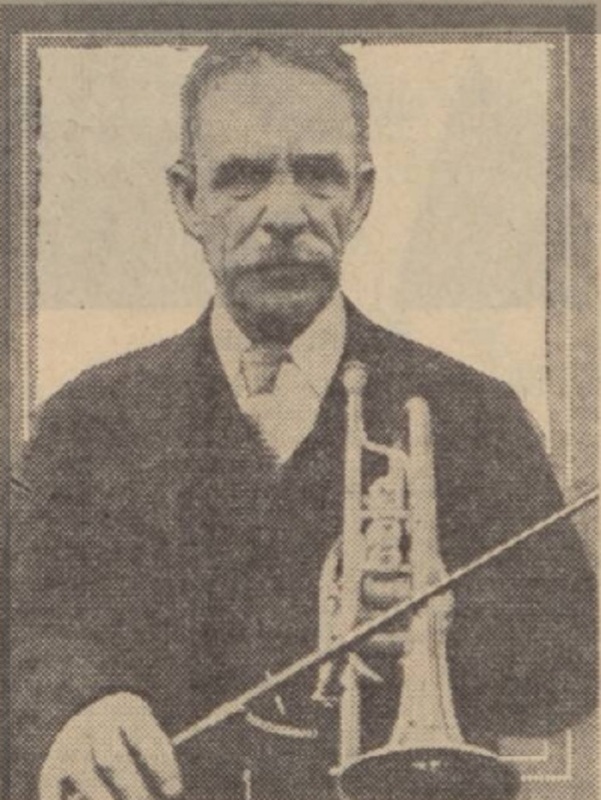 Front : Harry Price,W.Hunt. 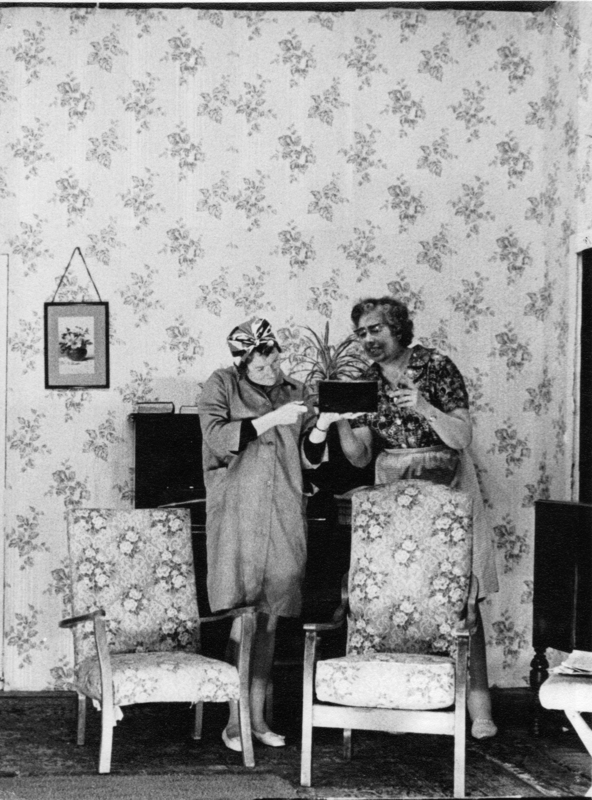 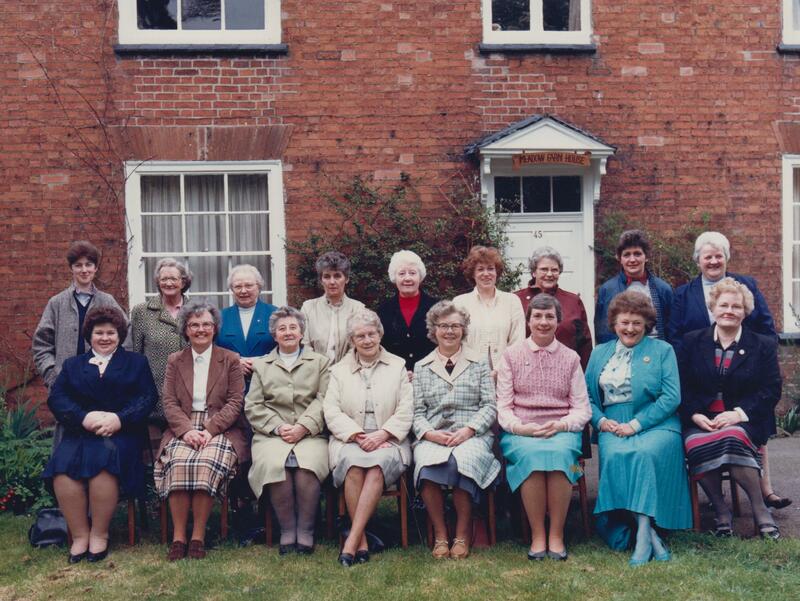 Women's Institute April 1988. 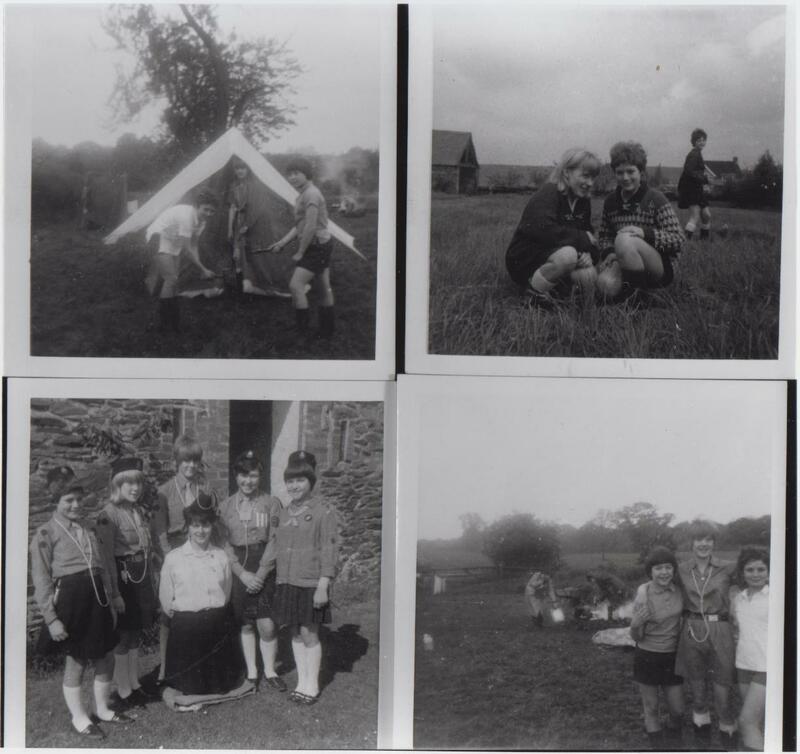 Taken in front of Meadow Farm (maybe to re-create the photo previous to this in the gallery ?) . 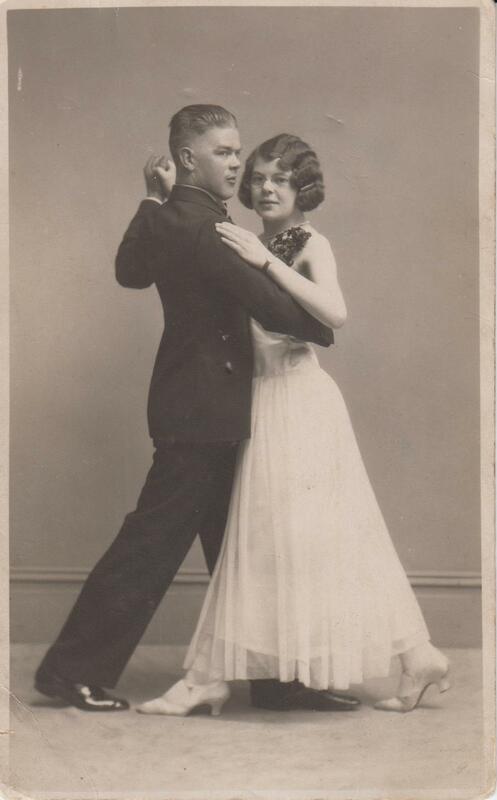 Does anyone know who these are and where ? 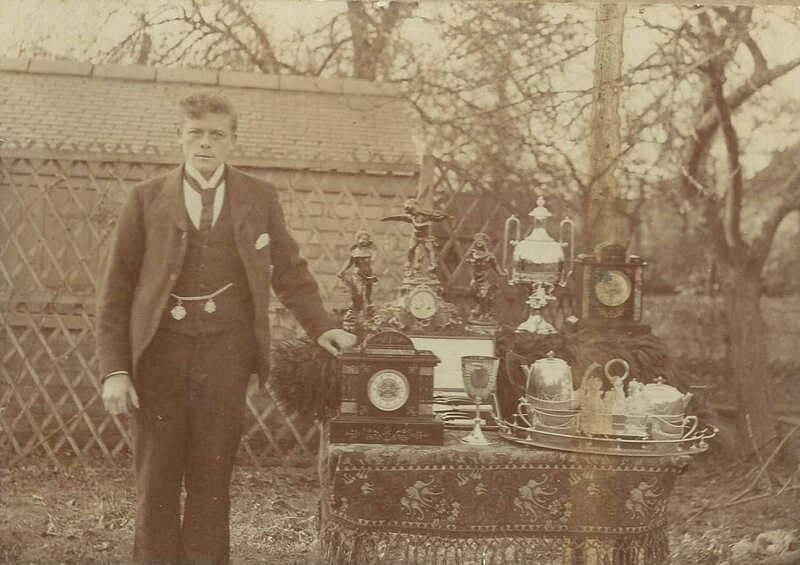 Walter Roper and his floral trophies - about 1910. 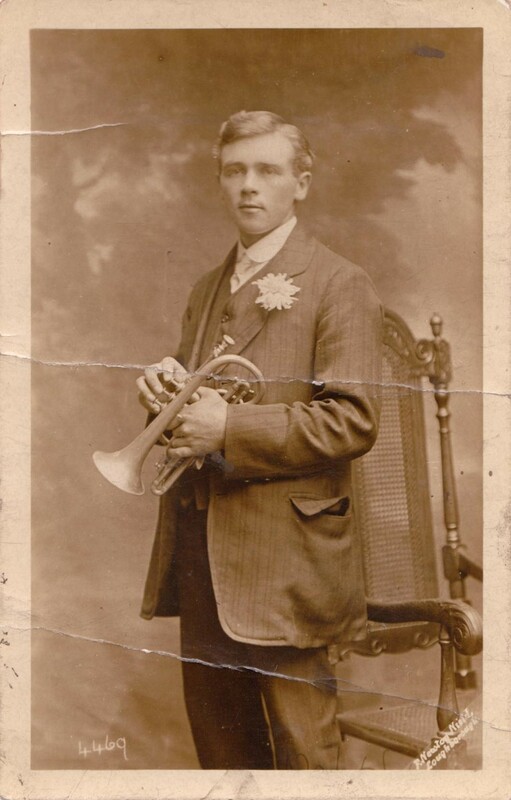 He was a florist national champion. 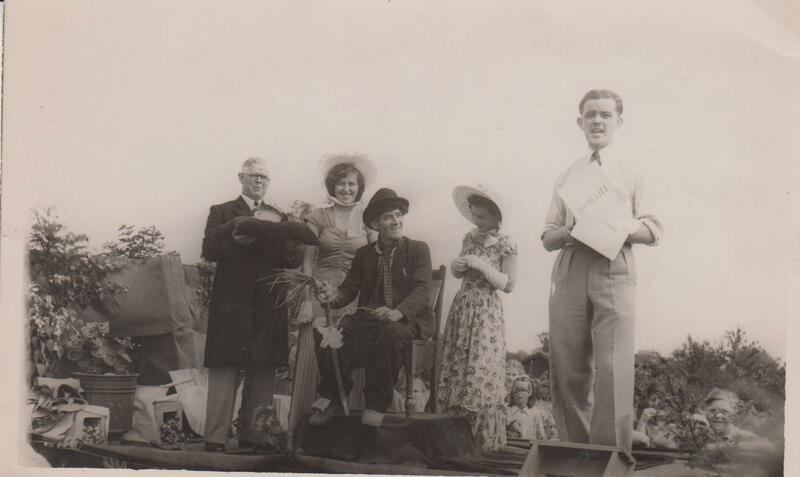 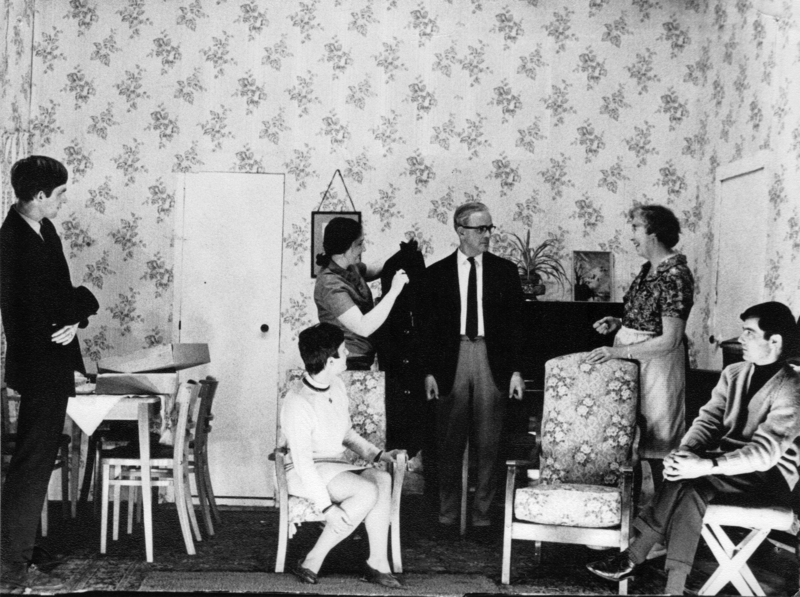 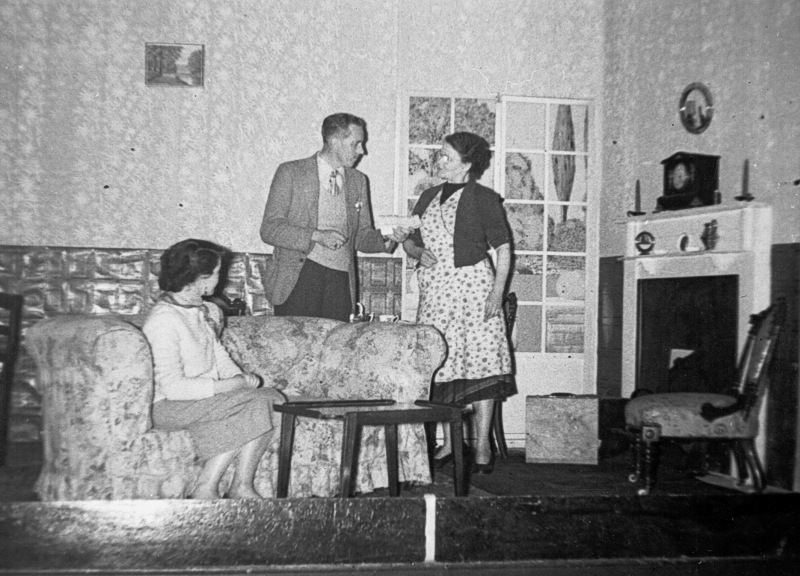 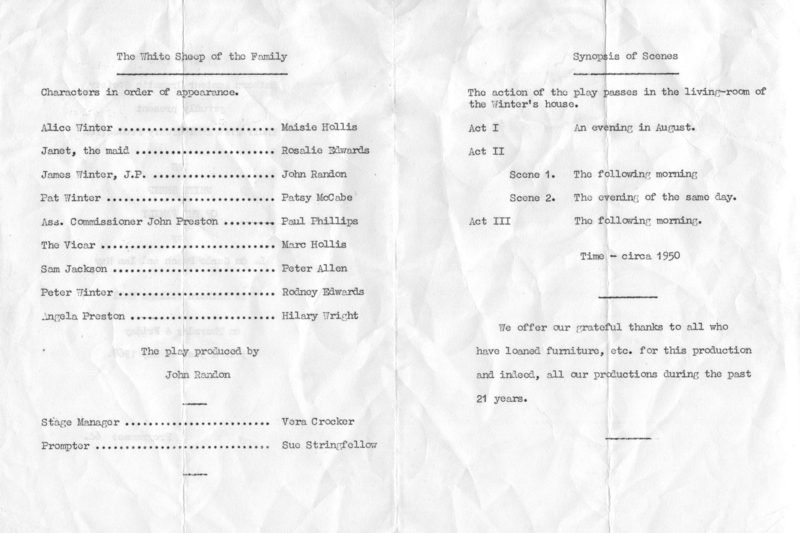 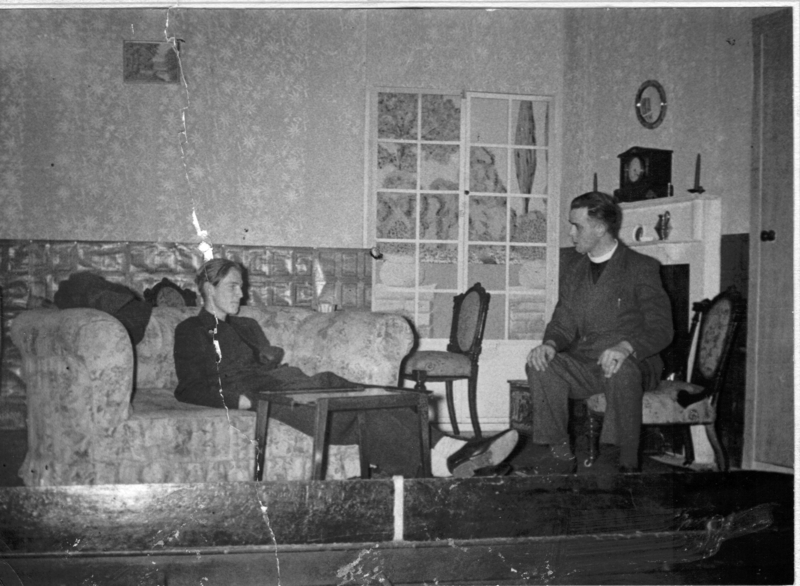 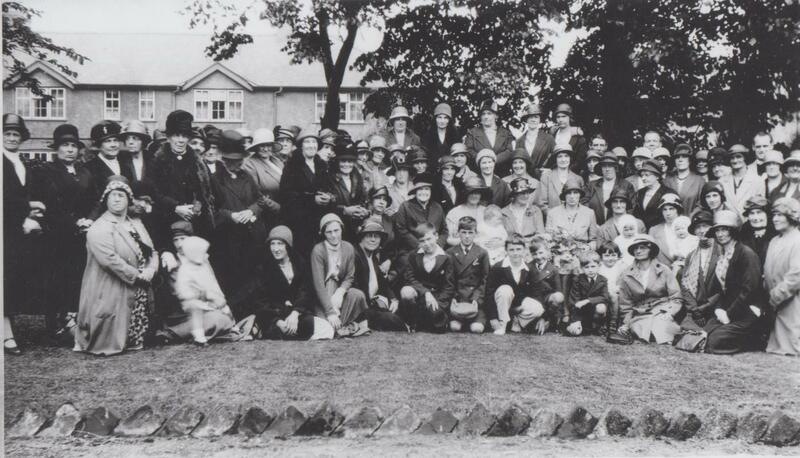 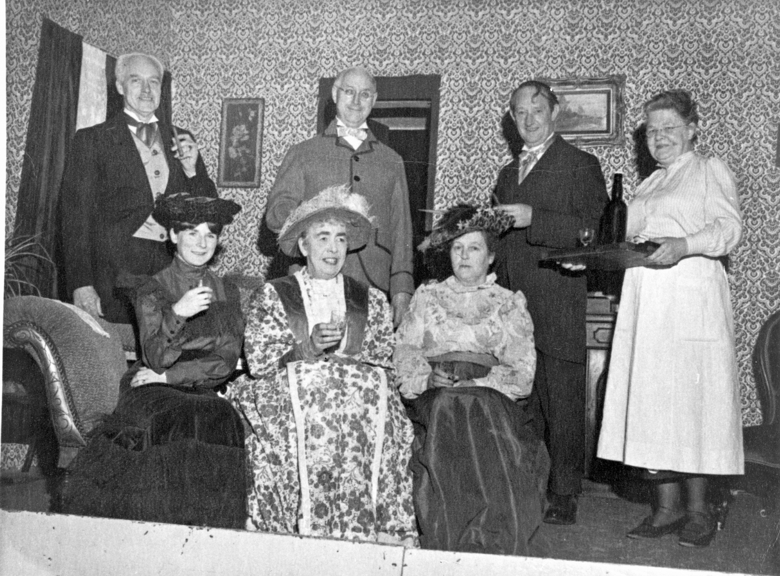 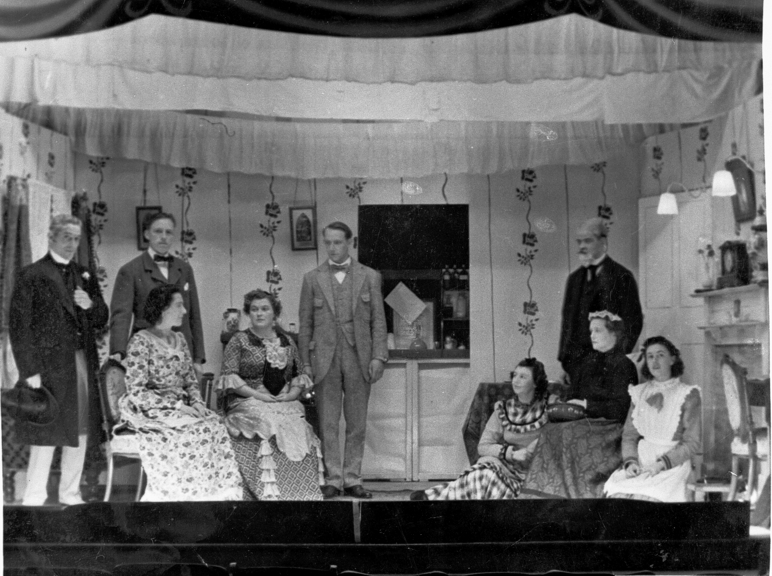 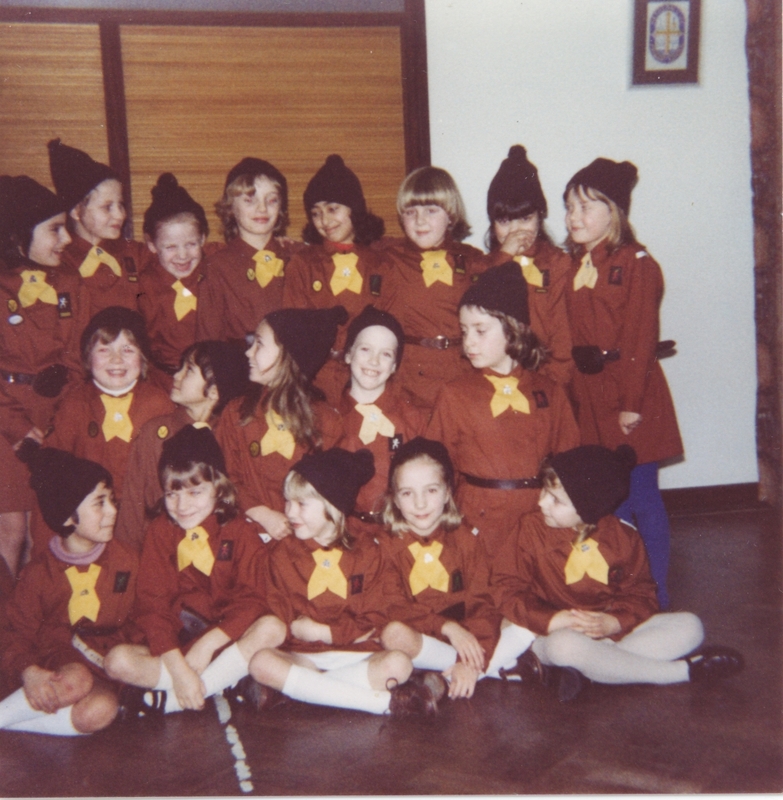 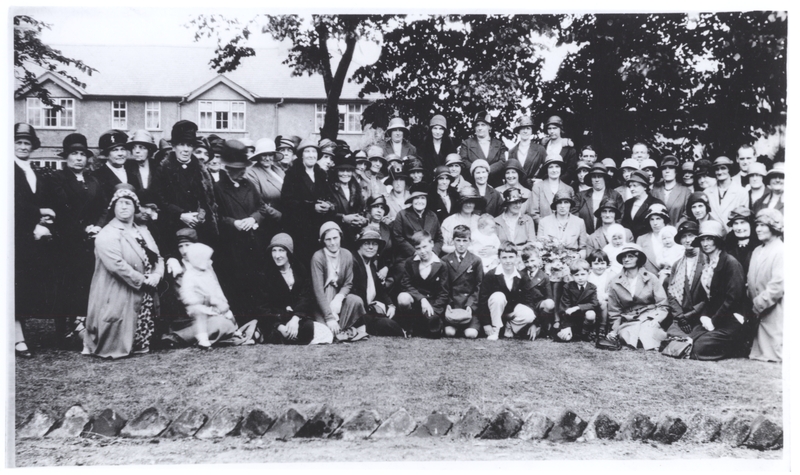 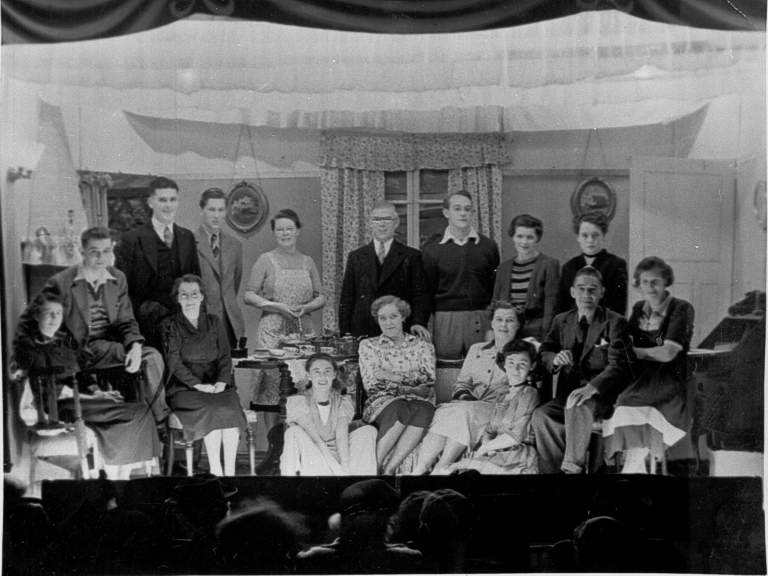 Standing : ?, Olive Simpson, John Randon, Maisie HollisSeated Hilary Webster, ?